Does Hostile Attributional Bias for Relational Provocations Mediate the Short-Term Association between Relational Victimization and Aggression in Preadolescence? This short-term longitudinal study examined the direct association between relational victimization and relational aggression over a five-month period, and proposed that hostile attributional bias for relational provocations mediated this association. Participants were 140 preadolescents (aged 9 to 11 years) in grades four and five. Relational victimization and relational aggression were assessed from self-reports. Hostile intent attributions were measured from preadolescent's responses to hypothetical provocation situations that depicted ambiguous relational aggression among peers. 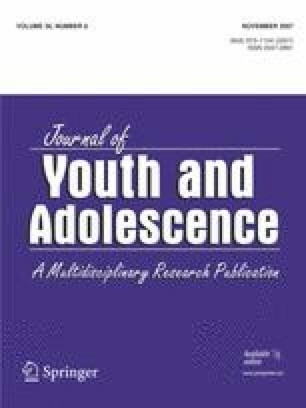 Concurrent and longitudinal findings revealed that more relationally victimized preadolescents were also more relationally aggressive toward their peers. Hostile attributions partially mediated the concurrent association between relational victimization and relational aggression at T1 only. Boys reported significantly higher levels of physical victimization, physical aggression, and relational aggression than girls. Implications for prevention programs are discussed. Rachel Yeung is a Doctoral student in Psychology at University of Victoria, Canada. She received her MSc in Life-Span Developmental Psychology at University of Victoria. Her research interests include risk and protective factors among children and adolescents who are victimized by their peers and program intervention. Dr. Bonnie Leadbeater, PhD, is a Professor in the Department of Psychology who joined the University of Victoria in 1997 after 9 years as Faculty at Yale University. She is Director of the Centre for Youth and Society's research and programs that promote youth health and resilience through community-university research partnerships. She received her PhD in Developmental Psychology from Columbia University, New York. Her research interests include depression in adolescence, resilience among high-risk youth, and the prevention of peer victimization. This research was funded by grants from American Psychological Foundation and Canadian Institute of Health Research Network to the second author, and a graduate scholarship from Social Sciences and Humanities Research Council of Canada to the first author. We would like to thank all of the children, parents, and teachers who participated.